Blackman's Brewery is in Torquay, where the beer is brewed just a hop and a skip from the surf. It means it's not much further away from Bells Beach, one of the world's most famous surf spots and home of the prestigious surfing competitions, the Bells Beach Rip Curl Pro. The 2015 comp kicks off in April, with Mick Fanning and co no doubt ready to work up quite a thirst. 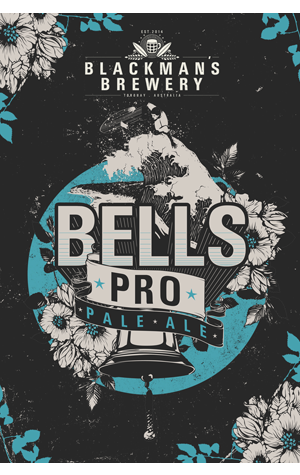 So it would be remiss of Renn Blackman and partner Jess Giudice not to offer them something to quench their thirst, which they're doing in the form of the Bells Pro Pale Ale, being launched at the brewery on the same day the surfing championship commences down the road. It's an American style pale, hopped with Amarillo, Centennial and Cascade and is described by its creators as "a hoppy, fruity, dry banger that will go down a treat after a surf."